The title given by author Edward Harold Begbie is a bit confusing. 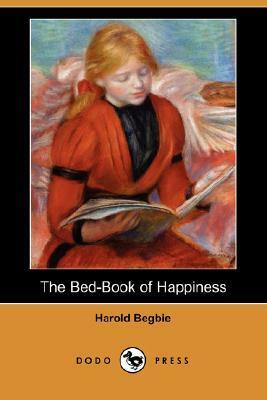 A better title could have been given to convey the right message than the title The Bed-book Of Happiness by Harold Begbie. The stories are told to a bedridden child and the stories are not all pertaining to happiness. Begbie was a journalist and a writer of early nineties. He has about 50 odd books to his credit along with a lot of contribution to various journals. Most of his books are for children. This particular book has 258 pages and is an effort to find out stories for a bed-sick child. Surprising the stories meant or supposed to bring happiness fail to serve their purpose as many of the stories of this book are with serious and sad endings. It is difficult to ascertain how these stories could be helpful in bringing happiness to a child who is sick. Some stories are not at all motivational or cheerful. Rather it becomes difficult to digest the said purpose of book as per its title.